Why bihira.com for Shared Hosting? The title says it all! 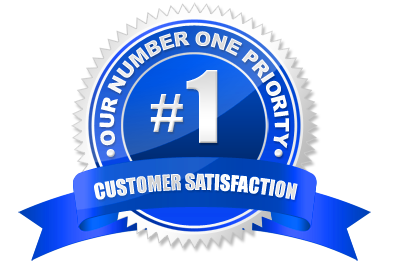 We strive to bring you the best service here at bihira.com because if you are happy and your website is growing, then so are we. We do not have an advertising budget here, we believe our best referrals are from you our customers through word-of-mouth. Worried about your website being down? So are we! Worried about your website being compromised? So are we! Worried about the reliability of your email? So are we! We do not treat you like another number. Our customer staff is trained to read your support ticket in it's entirety and actually address your issues like a human being instead of providing a canned response that many companies in our industry are content to do. Which in the end, really doesn't help anyone. And yes, we do have a sense of pragmatism and understand that there will be outliers in our ability to bring satisfaction to everyone all the time. However, that will never stop us in trying to always make our customers SATISFIED! Don't know how to code or install a website application? No worries! We have tools that will help you get your website presence online quickly. We offer a website builder with an easy-to-use interface which also includes pre-made templates and designs. All you need to do is add the content. Or if you prefer to use a popular app like WordPress, Joomla, Magento, MediaWiki, phpBB, and hundreds more then we offer an app installer which will help you easily install what you want in a few clicks. And of course, we are always happy to help! It seems like nowadays there is always some type of data breach, software to update, or new vulnerability. That's why we stay vigilant when it comes to security. We are consistently always monitoring our servers for signs of intrusion, always staying on top of our patches, always searching for that next big security issue, and just generally following good security policies. However, security is a joint effort and it does require you to be like-minded as well. Though if you cannot do some of the aforementioned task, we do offer additional services that may help. When it's all said and done if you are still not satisified with our service. 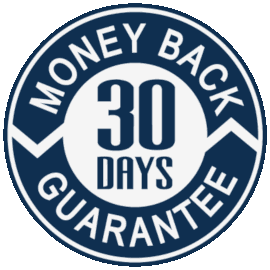 We offer a 30 Days Money-Back Gurantee. The amount of files, databases, and emails that your account can store on our servers. The amount of data that your account transfers and receives. Number of domains allowed on your account. Don't know how to code? No problem, we provide online software to help you build your website right away with a simple-to-use interface. Frequency our system takes a snapshot of your account and stores them off-site. Manage large amounts of information over the web easily. Databases are necessary to run many web-based applications, such as bulletin boards, content management systems, and online shopping carts. This wizard guides you through the setup of a database, user account, and user privileges. Create users and add them to a database for an extra layer security. This feature allows remote hosts (servers) to access MySQL® databases on your account. This feature allows you to create multiple email address or email forwarders for your account simultaneously. Apache SpamAssassin™ is an intelligent email filter that uses a diverse range of tests to identify unsolicited bulk email, more commonly known as spam. These tests examine email headers and content to classify email with advanced statistical methods. Grants access to your calendars and contacts on your personal devices. Catch any email that is sent to an invalid email address for your domain. DKIM ensures that email messages are unmodified and are from the sender from whom they claim to be. 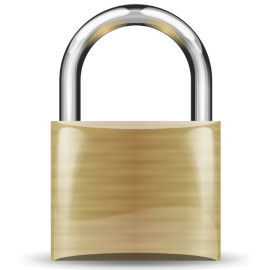 With GnuPG, messages are encrypted using a “public key” however, they can only be decrypted by a “private key”, which is retained by the intended recipient of the message. Send a copy of any incoming email from one address to another. For example, forward joe@example.com to joseph@example.com so that you only have one inbox to check. Greylisting defends email users against spam. When you enable Greylisting, the mail server will temporarily reject any email from a sender that the server does not recognize. If the email is legitimate, the server that sent it will try to send the email again after a delay. After a sufficient amount of time, the server will accept the email. Incoming mail is accessed through IMAP or POP3. Outgoing mail is sent using SMTP. The SPF system allows you to specify servers and IP addresses that are authorized to send mail from your domain(s). Provides increased security for your interactions with the mail server. Every cPanel account includes a system-managed Shared Address Book that serves as a user directory and allows collaboration. Review an email’s delivery route. This can be useful if you need to locate problems with email delivery. Webmail allows you to access your email accounts through any web browser. Download a zipped copy of your entire site or a part of your site that you can save to your computer. Monitor your account's available space with the Disk Usage feature. Add and configure FTP Accounts to get your website on the internet fast. FTP allows you to manage the files that are associated with your website through an FTP client such as FileZilla. The Git™ Version Control feature allows you to easily host Git repositories on your cPanel account. You can use Git to maintain any set of files (for example, a website's files and assets, a software development project, or simple text files). Create a Web Disk account to manage, navigate, upload, and download the files on your web server. Analog produces a simple summary of all the people who have visited your site. It is fast and provides great lightweight statistics. Analog shows the people who have accessed your site during a specific month. It provides limited content but can be helpful to see where your main users are from. This function allows you to see the bandwidth usage for your site. It shows the current month’s bandwidth usage, as well as your total bandwidth usage. This will include all HTTP (web), IMAP (mail), POP3 (mail), SMTP (mail), and FTP bandwidth usage. This function allows you to choose what stats programs you will use when viewing site statistics, if you are allowed to do so. Webalizer is a complex stats program that produces a variety of charts and graphs about who has visited your site. Webalizer FTP is a complex stats program that produces a variety of charts and graphs about who has visited your site using FTP protocol. If enabled, hotlink protection prevents other websites from directly linking to files on your website. SSH (Secure Shell) is a program to log into another computer/server over a network securely. It provides strong authentication and secure communications over insecure channels. Your login, commands, text are all encrypted when using ssh. This feature allows you to deploy Ruby applications via mod_passenger. This interface allows you to configure your PHP settings. Optimize the performance of your website by tweaking the way Apache handles requests. Ruby on Rails Applications are based on the Rails framework. Rails applications must be run like any other application. After creating an application, you will need to populate it with your code. Then, you can choose to start or stop the application and even to load the application every time the server reboots. 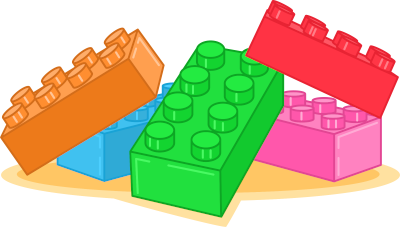 Ruby Gems are collections of functions that allow you to perform tasks in Ruby. You will need to install a Gem before you can use it inside a Ruby program. Note: Gems are installed directly from the RubyForge repository. This interface provides command line access to your account on the server. Copyright © 2004 - 2019 bihira.com. All Rights Reserved.